Way back in the summer of love (1969 for you youngsters), the “Integra” name first emerged. It was the badge that Onkyo, Integra’s eventual parent company, put on their new top-of-the-line 701 integrated amplifier. The badge was Onkyo’s way of signifying that this amp was at the pinnacle of their company’s technology. For the next three decades, it was used on a very limited number of products. In 1999, Integra launched as a standalone brand and quickly became an industry favorite. 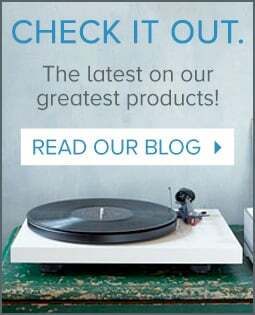 Since then, they have always stayed true to their philosophy, using Onkyo’s prowess to create products that include the latest technology, combined with premium parts and build quality. Their amps are bigger and better than the competition, and their features set them apart from the pack. Audio Advice has been an Integra dealer for many years. We love the fact that they are always on the cutting edge of audio/video technology and their products are built like tanks. 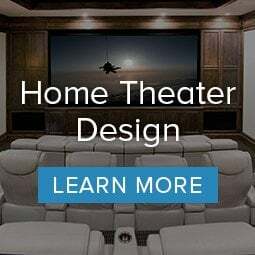 Our customers love that while most brands have a 90-day warranty, Integra backs their entire home theater line with an impressive 3-year warranty. Today we are going to take a look at four of the most popular models in their 2017/2018 home theater receiver lineup -- the DRX-2.1, DRX-3.1, DRX-4, and DRX-5. First, we will discuss some of the similarities between these models, and then we will break out each model individually and point out some of the features and benefits that you get as you move up the line. While most brands in the home theater space force you to choose between features and performance in the lower price ranges, Integra goes above and beyond. There are actually quite a few similarities between the four models in terms of features, and none of them skimp on sound. All four models have very large power supplies with high-current capability. This means that they can perform well, even in demanding action scenes, without getting edgy or losing that sense of impact we’re all looking for. Each uses discrete output devices, just like the best separate power amps on the market. All four also have the ability to bi-amp your main front speakers, should you wish to configure it that way. Integra’s proprietary room equalization system, known as AccuReflex is always available on all four of these models. Processing for all of the latest surround sound formats is available on all of these models. They can do Dolby Atmos, Dolby TrueHD, DTS:X, and HD-Master Audio. When it comes to setting up surround sound, all four give you the choice of 5.1, 7.1, or 5.1.2. This means that you get a pair of fronts (left and right), a pair of surrounds (left and right), and a sub. You can also add an additional pair of rear surrounds or use a pair of in-ceiling speakers for Atmos. In order to get 5.1.4 or 7.1.4, you will need to step up to some of Integra’s upper-end models. Even the $800 DRX-2.1 uses some of the best DAC chips out there, capable of 384k/32-bit audio. In layman's terms, this means they can decode just about any Hi-Res Audio file you might find. When you go to set up your system, all four give you the ability to cross over your speakers in 10hz increments from as low as 40hz all the way up to 200hz. Many receivers just give you a large or small setting, which puts you at 80hz or full-range. We find when speakers are mounted in cabinets, especially center channel speakers, the cabinet will resonate. Using the fine tuning available in the Integra’s we are usually able to cross over the speaker just above that resonant point and greatly improve the clarity of the center channel for dialog. When you are stuck with one point, it's almost impossible to do, but you would be amazed at the difference fine tuning between, say 90hz and 100hz, will make in some cabinets. The lower end also lets you get the most out of your large front speakers and send only the deepest tones to your subwoofer by crossing over in the 40-50hz range. This is simply impossible to do when you have only two choices. All four models support the latest HDCP 2.2 HDMI technology -- so if you have a brand new 4K UHD TV with HDR (High Dynamic Range) you will be able to take advantage of it. If you aren’t on the cutting edge and have an old DVD player, these receivers also have component inputs that upconvert 480i signals to HDMI so you don’t need another cable. If you enjoy listening to vinyl, each of these models also has a built-in phono stage capable of handling moving magnet cartridges. If you prefer to stream your music, the Integras are loaded with nearly every option you can think of, including Google Chromecast, Apple Airplay, DLNA network streaming, Tidal, Pandora, Spotify, and TuneIn. They support all the current file formats and even have a USB digital input to take a signal from your laptop. If you have a Tidal account and enjoy MQA (the latest Hi-Res Audio format), your Integra can unpack the MQA stream from your laptop! Finally, if you’re into voice control, all four of these Integra models comes with Google Voice Assistant built in. That’s a ton of features that all of these models share. Now let’s have a look at the differences. The DRX-2.1 is rated at 80 watts per channel with all channels driven. We invite you when you are comparing brands to take a very close look at the way some receivers quote this number. The Integra power rating is measured at a very low distortion number (.08%) and across the full audio spectrum of 20hz to 20khz. We are seeing a lot of brands quote this power rating with no distortion figure and at the very easy to drive frequency of 1000hz. What that means is this other spec if measured to the strict Integra standards may turn a 100-watt rating into a real-world 20-watt rating. Integra uses what we consider the “honest” power rating, which we really respect. This explains why the DRX-2.1 weighs far more (almost 21 pounds) than some other competing receivers with higher power ratings. Check out that weight when you are comparing, it is a sign of a real amplifier which translates into great sound! For connectivity, the DRX-2.1 has 6 HDMI inputs, 8 analog, and 3 digital inputs; more than enough for most systems. Don’t forget that it also includes a built-in phono stage. If you’re interested in connecting a pair of speakers in another room, the DRX-2.1 has a powered zone 2 feature. It allows you to send a feed through the receiver from any network source, USB, or any of the analog inputs. For most systems, if you care about great sound, and want to get into the world of streaming music, the DRX-2.1 would be a great choice. 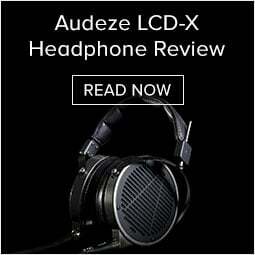 It really gives a great audio performance for well under $1,000 and should last for many years. Jumping up to the DRX-3.1 gets you 100 watts per channel and a bit beefier power amp section, in the same sized chassis. You get an extra HDMI input (7 total) as well as a second HDMI output. The HDMI input is found on the front panel which really comes in handy for plugging in a laptop or a device you don’t use all the time. For extra flexibility down the road, the DRX-3.1 gives you preamp outputs for 7 channels so you can add a bigger power amp later if you want to build on your system. The DRX-3.1 has Zone 2, like the DRX-2.1, but you can use coaxial digital inputs with it in addition to the other inputs. If you have some power hungry speakers or need the extra HDMI input, the DRX-3.1 is a nice step up, but if these specific features are not interesting to you, we think the DRX-2.1 is a better overall value for the average user. When you move up to the DRX-4 you get some fairly noteworthy features, particularly if you’re planning on using the receiver as the heart of a multi-room audio system. First, the power jumps up to 110 watts per channel with all channels driven. You also get a feature called THX Loudness Plus, which automatically calibrates your system to the reference level. When you listen at very low levels, the frequency extremes are not as apparent which dilutes some of the effects. THX Loudness Plus improves your movie experience when listening at lower volumes, automatically adjusting the front-to-back speaker level and frequency balance to ensure that you experience all of the rich details. With regard to inputs, the DRX-4 gives you yet another HDMI, 8 total with one on the front panel for convenience. There is also an HD-Base HDMI output on the DRX-4, allowing you to send 4K and HDR signals via CAT6 up to 300 feet, rather than the max 18 meters that most HDMI cables can handle. If your receiver is far away from your TV or projector, this may be an important feature for you. The DRX-4 has Zone 2, like the previous models, but with some additional functionality. You actually have the ability to run two rooms, one from the powered speaker outs and one from the Zone 2 preamp outputs, using another amplifier. The DRX-4 even lets you send your HDMI signals out to Zone 2. It has some built-in DAC’s not present in the lower end models that allow this to take place. When you look at features alone, the DRX-5 is actually very similar to the DRX-4. It gives you a Zone 4 output, allowing you to drive yet another room if you add another amp, but that’s pretty much it. Where you really see drastic improvements, is on the performance side. While it is only rated at 130 watts per channel (20 more than the DRX-4), the DRX-5 is truly a completely different animal. It comes in a larger chassis than the other models we’ve described here and weighs in at 31 pounds out of the box, which is massive for a home theater receiver. Most of this weight comes from a larger transformer and power supply. If you want a true cinema experience at home, the DRX-5 will be much more dynamic and offer far more impact, especially when watching demanding action films. The extra $400 over the DRX-4 goes almost entirely to the sound -- just the way we like it! Integra makes some of the very best home theater receivers on the market, so you should feel confident that you’re getting a great piece of gear, no matter which model you choose. Selecting the right receiver is really about what is most important to you and how you will be using the system. 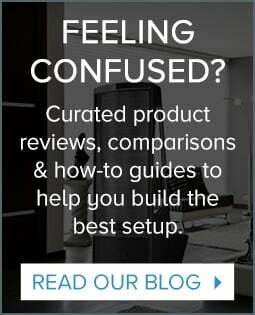 If you have read through this entire article and are still having some trouble deciding, please feel free to email us, give us a call, or chat with us on our website and we would be more than happy to help you find the perfect Integra home theater receiver to meet your unique needs. Don’t forget that we have FREE 2-day shipping on all orders, every day and we offer hassle-free returns and lifetime support.